It’s been a very difficult summer for California, with a number of wildfires ravaging the state. Among them is the Mendocino Complex, which is being called the worst fire in the state’s history. In Orange County, the cause of what is being called the Holy Fire has been traced back to one individual - an unsurprising fact as most forest fires are caused by human activity. However, the overall increased susceptibility of the state to forest fires is being blamed on climate change. The banning of plastic straws on environmental grounds has been in the news as of late, and now one Caribbean island is taking it a step further. Dominica, a small island country located near St. Lucia and Antigua and Barbuda, has announced that it will no longer allow the use of any styrofoam or single-use takeout containers within its borders starting at the beginning of 2019. The Middle Eastern country of Yemen is still in the throes of a brutal civil war that his killed thousands, including recently a school bus full of children. Yemen is also currently experiencing an outbreak of cholera. The outbreak, which has been happening for at least a year, has been linked to at least one million cases. Reach For the Sky...Or the Sun! Nasa’s Parker Solar Probe embarks for the sun tomorrow, which is not a sentence that you hear everyday. The probe will study the sun for seven years to gather data including information about the sun’s atmosphere as well as its particles. The terrible earthquake that happened on the Indonesian island of Lombok has now claimed the lives of 320 people. This is a sharp increase from the initial estimates of around 100. Turkey experienced its worse financial day since the country's financial criss of 2001 this week. The reason behind it is said to be the doubling of tariffs imposed on Turkey by the United States. The Turkish lira has fallen nearly 40% in the past year or so, which makes many worry that the country may be on the brink of deep financial turmoil. Popular ride-sharing service Uber has held a frequent place in the news since its inception. 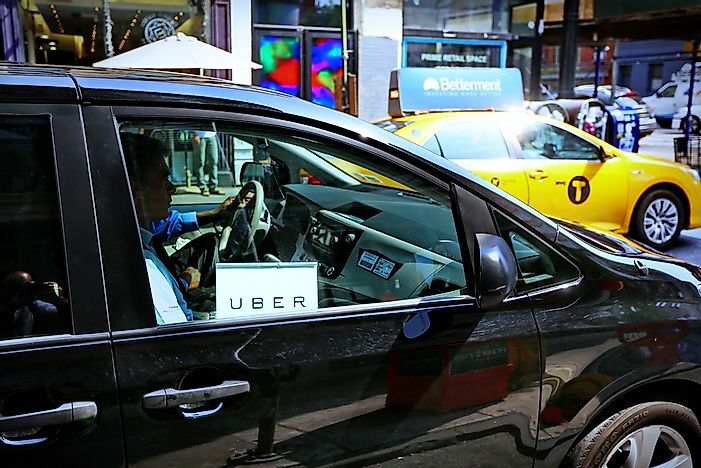 Most recently, New York has announced that it will halt the issuing of any new Uber licenses for an entire year. The break is intended to allow the city time to figure out what the correct balance of ride-sharing vehicles is. There is concern that the city's inundation with taxicabs and other similar vehicles is sending drivers into poverty.